What is the difference between a shield and a sword? Sometimes, it's hard to tell and may depend on where you sit. This point was driven home to me recently in an exchange of correspondence between the AAFP and Wisconsin Physician Services(www.wpsgha.com) (WPS), the Medicare contractor that processes Part B claims in several Midwestern states. Earlier this spring, the AAFP submitted comments to WPS regarding a draft local coverage determination (LCD) that WPS posted regarding home and domiciliary services. The AAFP expressed at least four concerns with the LCD, and it was clear from our comments that our primary concern was that WPS would use the LCD as a sword to unfairly penalize physicians who do home visits. Although WPS does not typically respond individually to comments made regarding draft LCDs, it did choose to respond to the AAFP comments in this case. In doing so, it noted that a review of medical records for claims submitted by Part B providers in place of service "home" when the beneficiaries were also concurrently being seen by a home health agency showed that the service billed by the Part B provider was seldom, if ever, the service actually rendered. 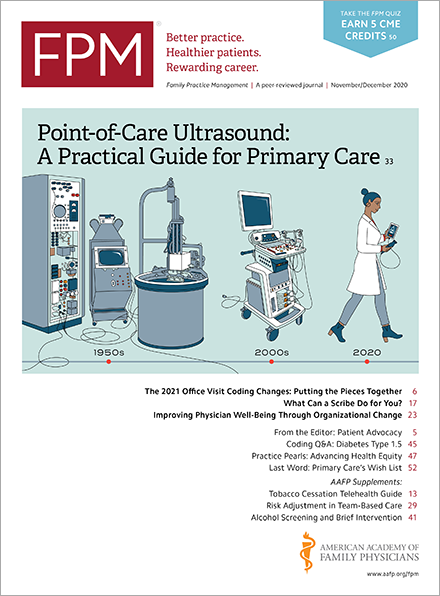 WPS also shared statistics showing that utilization of home visit codes paid under the Medicare physician fee schedule was significantly higher in WPS's service area as compared to national averages, with financial implications for the Medicare trust fund. From the letter, it was apparent that WPS viewed the draft LCD as a shield designed to protect Medicare and its beneficiaries. So, is the LCD a sword or a shield? The answer clearly depends on whom you ask and, ultimately, how it is used. In any case, the point of the story is that, when dealing with Medicare (and, likely, other payers, too), it is important to remember that there are often legitimate differences in perspective that must be acknowledged and addressed if true dialogue and progress is to occur.